I have criticized local broadcast stations for not running editorials or commentaries, which I think is part of their obligation to operate in “the public interest.” These ceased to exist on the death of Ralph Gabbard, President of WKYT-TV some years ago. I have also criticized the network newscasts for letting anchors give their personal opinions without so labeling them. A big difference from the erudite days of Eric Sevareid on CBS. 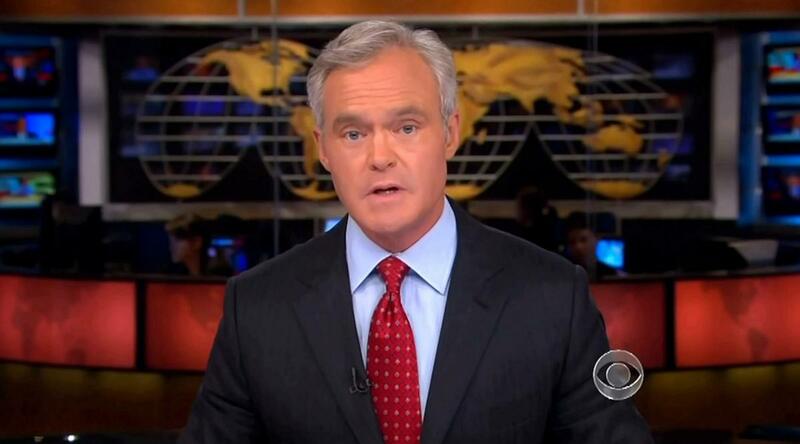 Scott Pelley gave his personal opinion last Friday at the end of a momentous week of news. It wasn’t labeled as an opinion, as it should have been, but I can forgive him because of the events he reported..and he captured their spirit well. The first American idea, that "all men are created equal," has never been honored. It was aspiration, more than declaration. And so the struggle for progress has been the inheritance of every American since. Pressure for equality builds. And once in a great while, like a tectonic fault, there's a sudden lurch forward. That's the quake we felt this week. Monday, South Carolina moved to strike the Confederate battle flag. Overnight, there was a national rush to obliterate relics of oppression. Shopkeepers and state houses couldn't remove them fast enough -- as if they had been noticed for the first time. Friday, the tremor moved the stone at the court -- shifting the words carved there - nearer to the truth. Millions of Americans, for the first time in our history, achieved their "equal justice under law." The African-American poet, Langston Hughes, wrote: "Let America be America again...It never was America to me." The truths, "self-evident" at our founding, are not self-fulfilling. We the people, are founding today the America that was promised. Well said..and worth remembering as America continues to face the pervasive problems race---and our views of race---create for our democracy. WHY DIDN’T RAND PAUL KNOW??? Four GOP presidential candidates, including our own Rand Paul, accepted thousands of dollars in donations from a white supremacist group—the Council of Conservative Citizens. This group’s beliefs and reports supposedly triggered he “Manifesto” and possibly the later shootings in Charleston by the alleged shooter Dylann Roof.) Since this information came out all the candidates, including Sen. Paul, have pledged to give those contributions to charity instead. BUT, why didn’t Paul know the source of his contributions before the tragic events in Charleston?? There’s Google, and Ask Me, and a dozen websites on the internet allowing people to find out just what the bland sounding “Council” really was and its policies. Why weren’t those easy to use reference sources used BEFORE accepting the contributions. Is it the money? Is it we don’t care what they believe so long as they listen to us? These GOP candidates often say they will have a greater concern for taxpayers’ money than the Democrats so “elect us.” Well, such concerns for other peoples’ money starts with concerns over how they handle their own funds---and in this case the results don’t support their claims. Yes, others are involved here, but Paul is one of us. Kentuckians, and Kentucky reporters, need to ask him why his staff didn’t check on this group before accepting their money. As we know AFTER the fact, such checking wasn’t difficult. What other less-than-honorable contributions, if any, has he accepted. And will he now do the research he didn’t do before? I didn’t want to read Monday morning’s Herald-Leader. I had this childish idea if I didn’t read the paper I wouldn’t find a story I knew was in it, and then the matter it reported on wouldn’t have happened. And John Carroll would still be alive. Childish, but that’s just how much I wished John were still here. One of the finest journalists I’ve known..able, honest, ethical, and a great friend..even when, as a competitor he was beating your brains out..as John’s Herald-Leader did several times to me, when I was running the Channel 27 news department. In’85 when the paper was reporting on the UK sports scandal (which many die hard fans refused to believe was true,) 27 took its lumps. We may have been the “official” UK station, but my sports reporters couldn’t seem to get ahead of the paper on this major story (which won them their first ever Pulitzer)..or even stay even. I finally resorted to having a staffer at the paper about 10:45pm, and when the first edition rolled off the press, buy one, scan it for UK developments, and if any, radio them to our newsroom where we would write them up and air them at 11..with credit to the Herald-Leader. Best we could do, but it still put us ahead of our tv competitors, thanks to John’s crew. 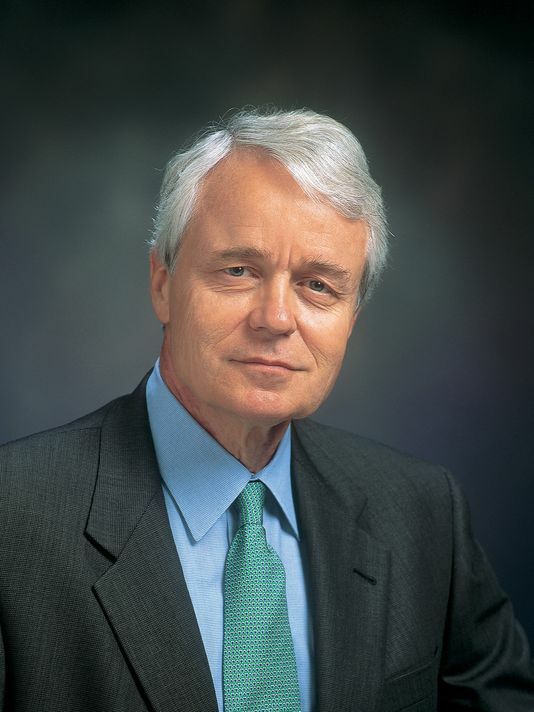 He won major prizes for the next 2 papers he edited, the Baltimore Sun and the L.A. Times..where, though he won many Pulitzer’s for the Times, his owners told him he had to cut back, especially on the reporting staff that had won those awards. John refused. Stood up in the newsroom and told his staff why, and then resigned. That was John Carroll, a consummate newsman. He came home to Lexington, spoke about our profession’s problems and became an “elder statesman" we all admired. Now, with his sad death at an early age, people everywhere in general, and journalists in particular have lost an advocate…and we here in Kentucky have lost a dear friend. Two prominent Republicans have suggested Kentucky needs a debate commission, similar to the national one on Presidential Debates...to propose and supervise similar debates on the governor’s level. I like debates...especially those framed about issues, which is the proposal. KET’s debates have done well to illustrate the issues and the candidates stands. More should help. Though this idea comes from the Grand Old Party I hope state Dems will not reject it out of hand. A good idea from anywhere is a good idea and worth adopting. And state Dems should have little to fear from Matt Bevin in a debate. If ever a candidate spoke “gibberish” it was Bevin in accusing the Dems of doing the same. I urge you to go back and re-read his comments a few days after the election. Let the debates begin...and if we can’t get them up by this November, surely we can for four years hence.